is working with The Social Assistance Partnership as a Senior Associate. Edna is a recognized expert in youth and adult education, training and program management. With over 20 years of executive leadership experience in the public and private sectors that includes serving as National Director of the U.S. Department of Labor’s Office of Job Corps, Edna has successfully managed both large scale and local public-private partnerships with demonstrable results. Her areas of expertise include workforce development; registered apprenticeship and labor unions; and cooperative partnerships with employers, industries, government, educational institutions, social service agencies and community-based organizations. 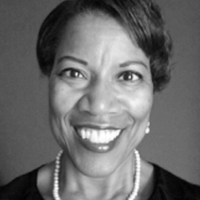 Edna is a graduate of Towson University and serves on the Towson University Foundation’s Board of Directors.